A subcompact SUV should look cool, especially when it is a luxury vehicle. The Volvo XC40 is set up with an exterior that will get you excited, and the team at Jack Ingram Volvo Cars feels that you will love this popular vehicle. There is a scuff plate in place on the Volvo XC40 that offers your vehicle a bit of protection when you are putting cargo into the vehicle or taking it out of it. This also helps the vehicle to look cool, adding a bit of style to it and giving it a nice stainless steel accent. The 2019 Volvo XC90 includes powerful Bowers and Wilkins sound systems in its design. 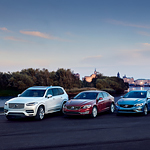 Everyone here at Jack Ingram Volvo Cars is excited because the new Volvo XC60 luxury compact SUV is here at the lot and growing in popularity by the day. The Volvo XC60 has the ability to protect you and your occupants as you travel in reverse. Shift into reverse, the Cross-Traffic Alert system is activated, scanning far into the distance in either direction for traffic. Every driver can relate to the experience of having bright lights shine into their eyes via their rearview mirror at night. 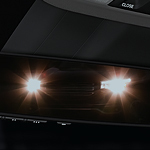 Sometimes motorists behind forget to turn down their high beams, and sometimes it's a vehicle with headlights placed high on the vehicle relative to the other driver's car. Whatever the reason, these bright lights can be the source of irritation or even unsafe driving conditions. There is a good reason why buying a new car is just not for everyone. It simply does not make sense sometimes to pay full price for a new car when a quality pre-owned vehicle can deliver everything you need. This is why the Volvo Certified Pre-Owned program is so beneficial for many drivers. The hallmark of the Volvo Certified Pre-Owned program is that each Volvo must make it through a 170-point inspection before it is offered for a test drive. Are you concerned about safety when you try out a vehicle? Are you concerned about safety as you decide on a vehicle to purchase? 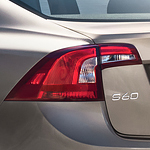 The Volvo S60 is not only a popular compact luxury sedan but it is a vehicle that is set up with many safety features. 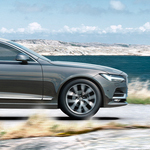 When Volvo engineers designed the Volvo S90, they included key features for different situations. If you need a car that's reliable, efficient, and stylish, this automobile is a practical option. While driving this Volvo vehicle around Montgomery, the engine will help you reach your destinations in a timely manner. The motor performs well during long driving routines because smoke exits the exhaust system through two tailpipes. These tailpipes help the Volvo reach practical speeds and maintain consist horsepower on the road.